After wearing the glasses for sometime, we often see there’s some green dirt formed at the glasses frame, especially on the nose pad. It looks quite disgusting, not only because of it’s oily look, but it spoils the entire image of the glasses. In this article, we will discuss on how to get rid of it. What is the green dirt on glasses? The green dirt is definitely not algae nor mold nor fungus, rest assure that. It is in fact the result of metal oxidatio. Similar to the concept of rust, where iron turns brownish when it is exposed to air and water, the eyeglasses frame which some parts are made of metal get oxidized too. Glasses frame is usually made from a type of copper called monel. Monel is a table metal and unreactive towards a lot of chemical. It is also skin friendly. The only downside is that it turns greenish when it gets oxidized. Since the greenish metal oxide is attached on the surface of the metal, be prepared that it is not easy to clean off. Thankfully it is still cleanable with the 3 method below. Theses are what you need. Mixed few drops of detergent with 1 tablespoon fo baking soda and a bowl of water. Then swirl until it gets soapy. Dip the cloth into the mixture and wipe the eyeglasses frame that you want to clean. Wipe it with a little pressure as you need to make sure all the areas are wiped. Gently brush the nose pad and other areas with greenish mud until it is gone. Wipe with the cloth and repeat the process. Finally rinse the eyeglasses frame in water and dry it. Be careful when you brush against the eyeglasses frame. You will want to avoid brushing the lens. Ultrasonic cleaner is able to remove the dirt and greenish mud as the vibration can tackle micro mud. The equipment is available in most of the optical shop, thus you can get your glasses cleaned there. 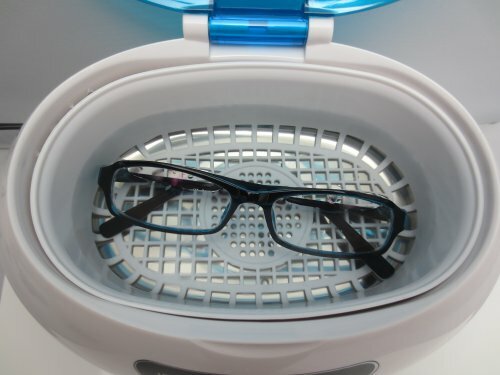 Eyeglasses will be soaked into the ultrasonic cleaner filled with clean water. It will be turned on for 60s for it to do the job. We then rinse your glasses with clean water and dry them. 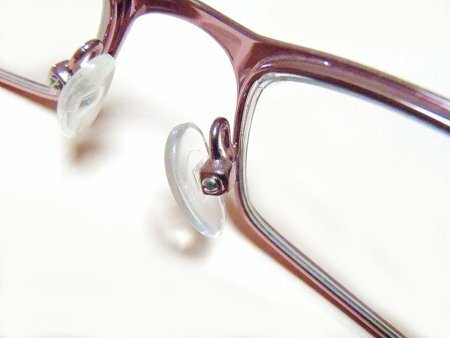 Just like anything we use, eyeglasses upon going through wear and tear need to be changed. Fret not, you do not need to change the entire glasses. Just change the nose pad and let us clean the glasses for you. You get a new nose pad and get rid of the old yellowish one! We help you to restore the condition of the glasses. You are recommended to change a new pair of nose pad every 6 months to maintain the hygiene. All services are free of charge in Pott Glasses. To sum up, no matter how well you take care of glasses, the greenish mud is prone to form. 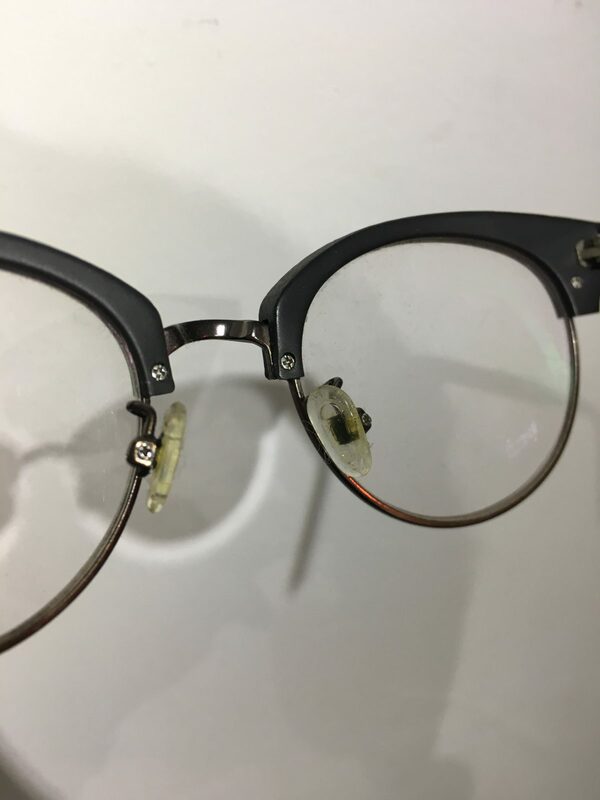 The good news is, it can be removed (though not 100%) and with proper cleaning and maintenance, your glasses will look good and clean for a long time. Now that you know how to clean the green dirt on glasses. Read on to find out how to find the perfect glasses that suit you.